824 ND U.A.R. (Syria) (1958) Enameled Vase*. 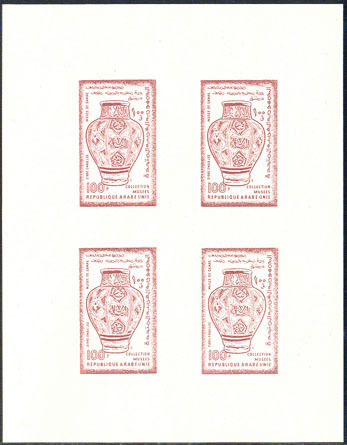 Imperforate minisheet of 4 stamps. Scott No 11. 1417 ND U.A.R. (Syria) (1958) Bronze rattle*. 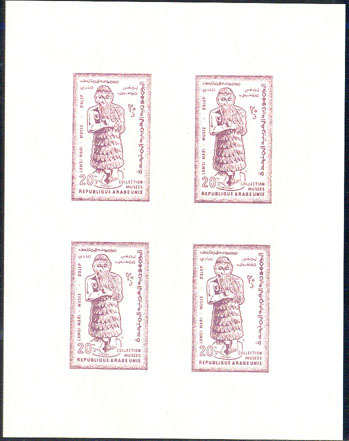 Imperforate minisheet of 4 stamps. Scott No 4. 2933 ND U.A.R. 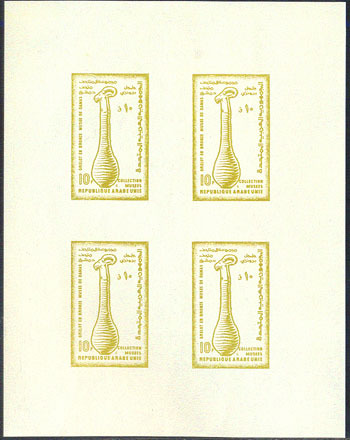 (Syria) (1958) King Lamgi Mari*. Imperforate minisheet of 4 stamps. Scott No 6.